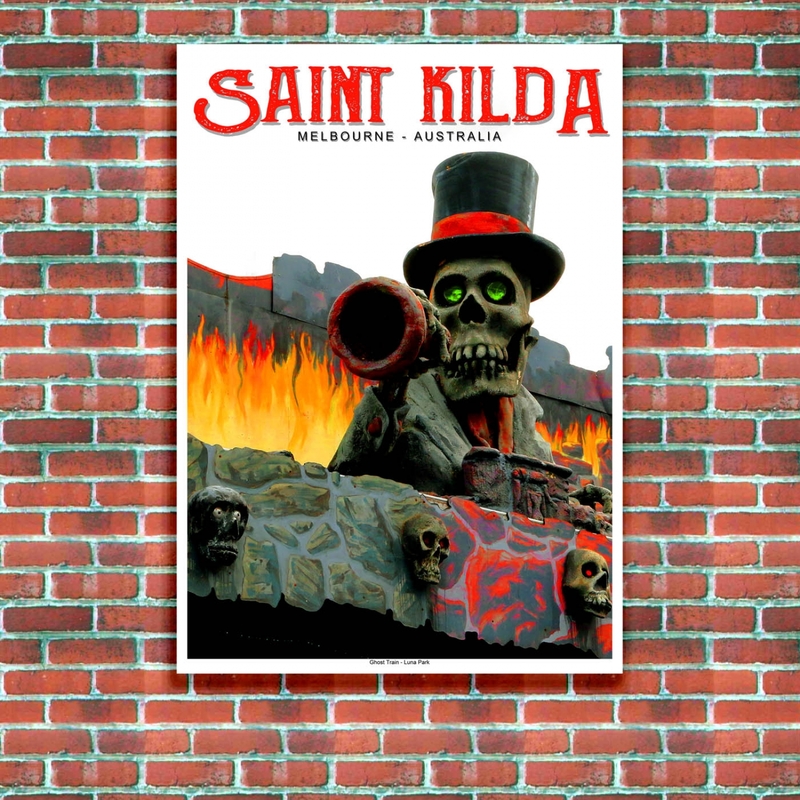 Luna Park is located in St Kilda, a trendy Melbourne bay-side suburb. Located a short distance from the city of Melbourne by Tram or Train and is one of the most picturesque settings on Port Phillip Bay. 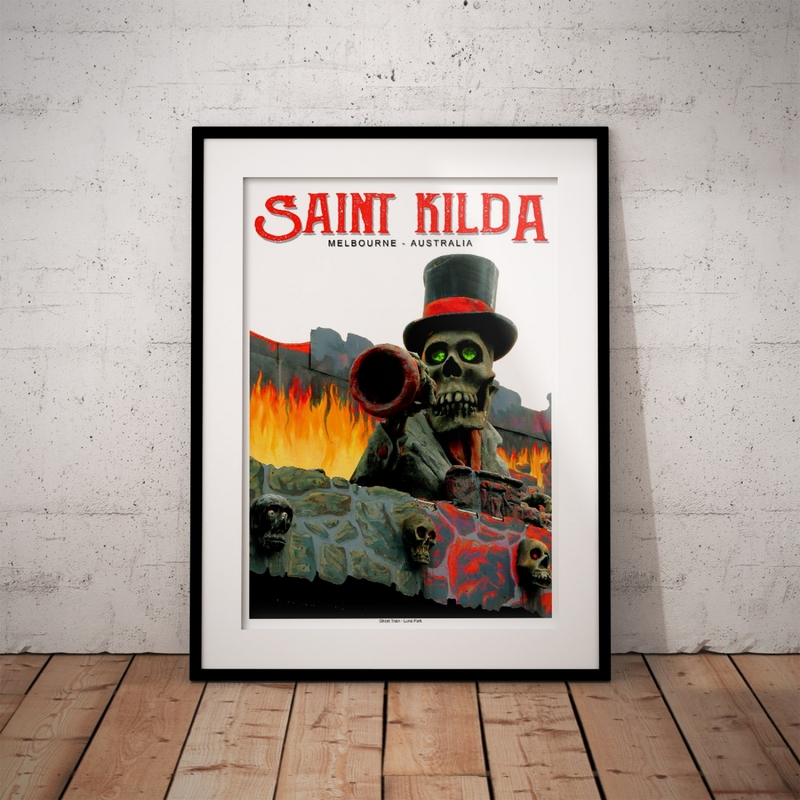 In the mid 1800’s St Kilda was a very fashionable suburb of Melbourne with magnificent homes and affluent people. Luna Park’s gates first opened in 1912 and ever since it’s been one of Melbourne’s icons. Luna Park opened formally in December 1912 and has been operating almost continuously ever since. The Ghost Train first appeared in 1934 and it is one of just 16 Ghost Trains still in operation globally. 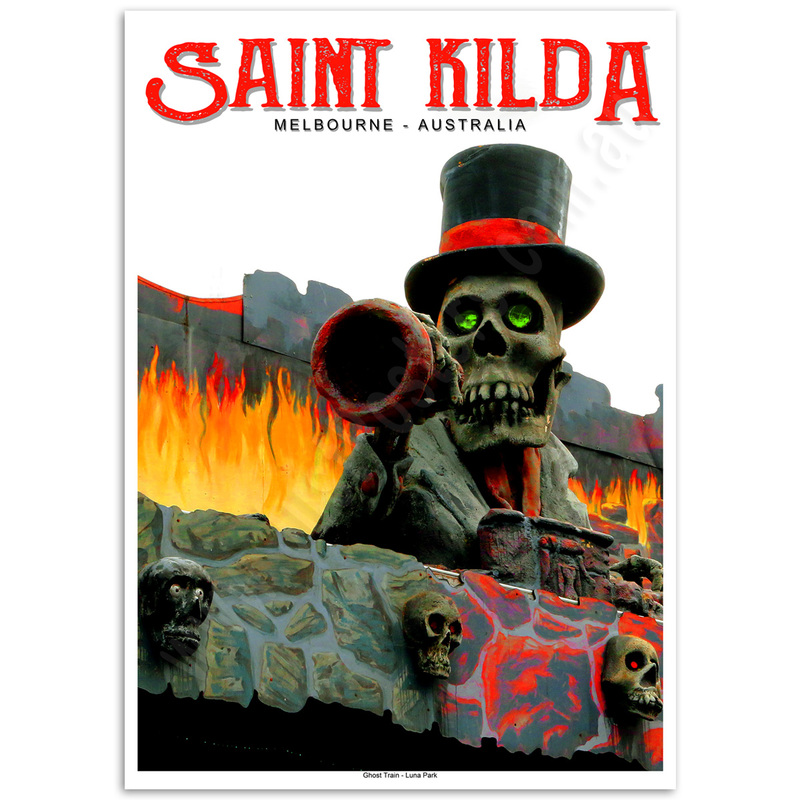 They are mostly in the US, and the St Kilda Luna Park Ghost Train is the last in Australia. The legendary "Mr Moon Face” entry and adjoining towers dating 1912. The Scenic Railway, 1912, which is the oldest continuously operating roller coaster in the world. The Dodgem's Fairytale Castle-Style Building erected to accommodate the patented ride in 1927. 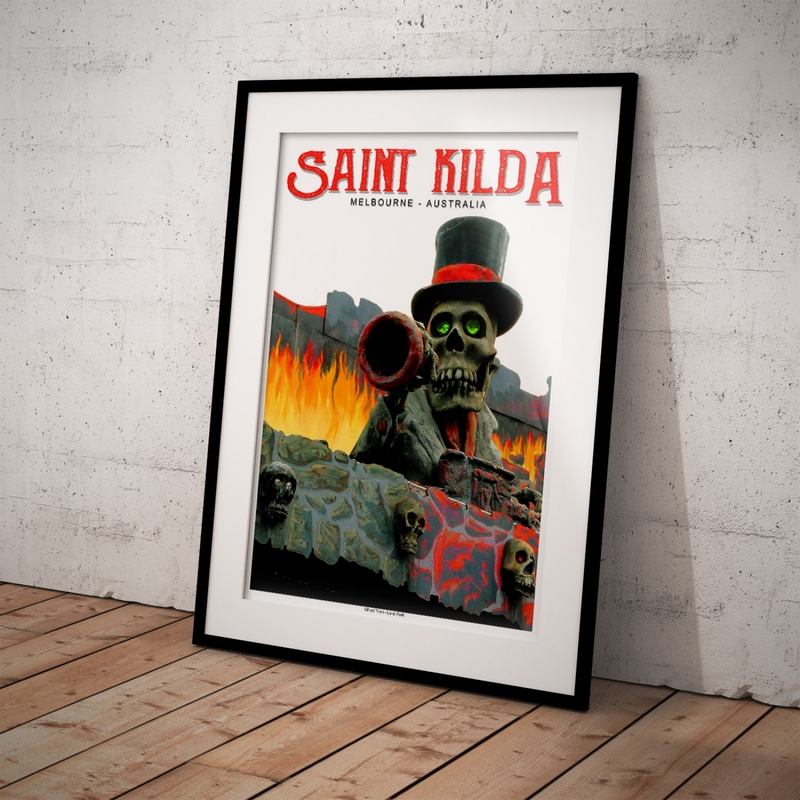 The "Luna Park Ghost Train" Poster is a reproduction of an original photograph. 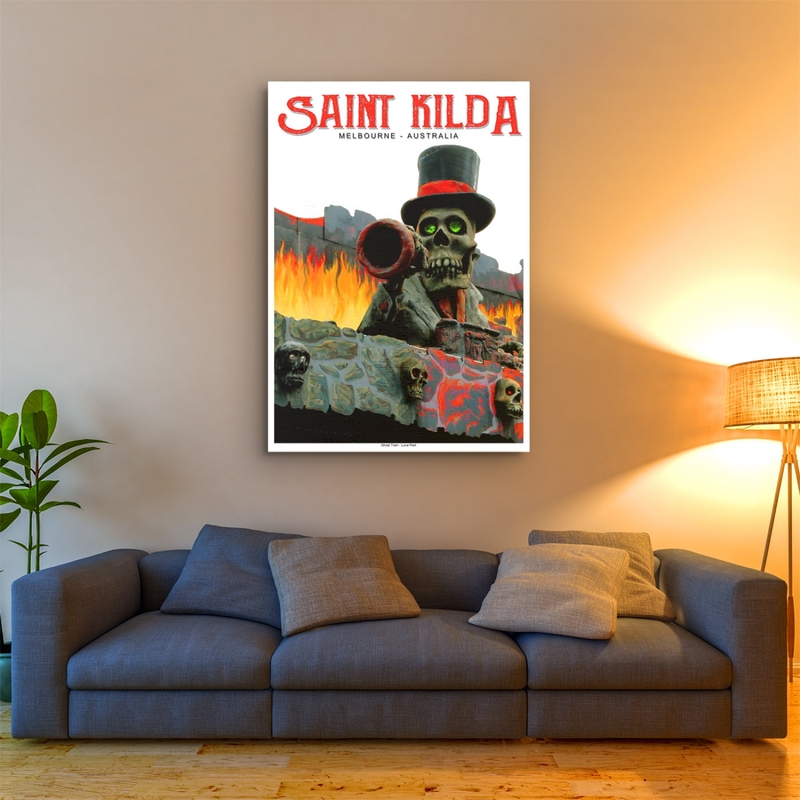 Beach Huts Poster – Brighton, AustraliaBeautiful Brighton on Port Phillip Bay.Beach Huts on Melbourn..
Luna Park, St Kilda - Melbourne PosterLuna Park is a Historic Amusement Park located at St. Kilda Be.. Photographic Poster - 2 Carousel HorsesI can remember my father taking me to a carousel at Melbourne..